This blog is devoted to discussing the pursuit of eternal life. Still, our redemption would be imperfect if he did not lead us ever onward to the final goal of salvation. Accordingly, the moment we turn away even slightly from him, our salvaton, which rests firmly in him, gradually vanishes away. As a result, all those who do not repose in him voluntarily deprive themselves of all grace. I'll guess Spurgeon? I've been reading his sermons and he says a number of similar things about perseverance. Spurgeon is a likely candidate, but not the one who wrote this quote. do i get another guess? wesley? I'm a little puzzled. Of the three sentences, the first seems to have a high view of the sovereignty of God while the later ones clearly state that salvation will fade away when we turn "away even slightly from him." He also speaks of repose in him "voluntarily." All this is to say it is difficult to cast a guess without knowing what camp this individual is in. I am thinking the good doctor is setting us up. I won't be surprised if it ends up being Calvin. You sniffed it out. Indeed, it is Jean Cauvin. Find the quote here. nice. i had heard similar quotes from the institutes in Paul Rainbow's "the way of salvation." have you read that? i would be interested in hearing your review of it. it's a study on the role of christian obedience in justification, mainly from Paul's letters. "God, in the act of justification, which is passed on a sinner's first believing, has a respect to perseverance, as being virtually contained in that first act of faith; and it is looked upon, and taken by him that justifies, as being as it were a property in that faith. God has respect to the believer's continuance in faith, and he is justified by that, as though it already were, because by divine establishment it shall follow...and so justification is not suspended; but were it not for this, it would be needful that it should be suspended, till the sinner had actually persevered in faith." First, my intuition or sense suggests that your quote is from a Puritan, given its length before coming upon a period and given its complexity. Yet, there are not many well known Puritans that come to mind that are likely candidates for such a statement. The reason is that not many Puritans had a sufficiently large enough biblically framed concept of justification to include a quasi-"not yet" dimension, as this quotation does. Richard Baxter would be a candidate. However, the statement links the initial act of justification forward to the final day in a way that Baxter, as I recall, does not. Baxter tends to separate, not just distinguish, justification "now" from justification "not yet." Therefore, I wonder if the statement comes from a later Puritan. I don't recall reading the specific statement before, but the sentiment expressed is commensurate with ideas I remember reading in Jonathan Edwards's essay on justification. 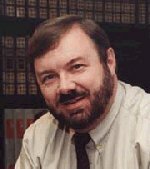 Edwards's essay on justification formerly was regarded highly at Bethlehem Baptist Church, but since 1998, the view has shifted. Various prominent voices at BBC have, since 1998, expressed considerable disagreement with Edwards and the sentiment expressed in the quotation you cite. Is the quote from Edwards? Well done. It is from Edwards' "justification by faith alone," section III (1.640-41), as cited in Dr. Rainbow's "the way of salvation" page 260. I forgot to respond to your earlier question about Paul Rainbow's book, The Way of Salvation. I do not have a copy of it, yet. I do plan to purchase it, read it, and then interact with it. I encountered references to Rainbow's book in a book I recently read and reviewed. Rainbow's book had been published too late for the author to use it. The book is Alan Stanley's, Did Jesus Teach Salvation by Works?. Stanley made frequent reference to and use of The Race Set Before Us. He understood Tom's and my thesis, argument, exegesis, etc., which was heartening. In fact, it seems fairly likely that our book played a significant role in the forging of Stanley's thesis, for at the most crucial point in the book, he draws upon our work for support. Since my review of Stanley's book was requested for publication (JETS), I cannot, with integrity, post that review here. I will post a review, but I will need to rework it for my blog. I just need to take some time to redraft it. great, I read stanley's book recently and look forward to hearing what you have to say. Is the jets review available at this point? where might i find it? I'm surprised that there has not been more response to these books from within evangelicalism since they are coming from within. Perhaps those on the traditional side of the discussion feel as though everything that needs to be said has already been said. I also need to re-read "the race" since it's been awhile since I read it. on that note, where could I find some reviews and interaction with trsbu? how was it received at BBC? The review is scheduled for publication in the next issue of JETS. I am also surprised not to see many responses to the books by Rainbow and Stanley. I have not looked much on the internet, though, because I've been diminishing my readings on the internet. There is a growing amount of rankling and meanness on the internet, it seems to me. So I have been slacking off on reading blogs, etc. I will offer a few links to some reviews of The Race Set Before Us. Sadly Calvin wouldn't last long in the PCA. If you are using The Race Set Before Us as a resource for teaching and you would like to use some PowerPoint slides of the charts that are shown in chapter 1 of the book, you may download the slides here in color. Follow the directions on the screen for downloading the charts. Read a limited preview of The Race Set Before Us here. 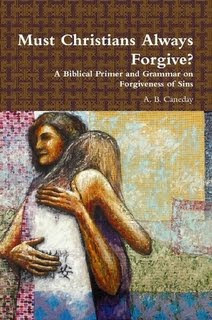 Review by Cribb, Bryan, Baptist Press. Review by Morrison, Gregg S. Journal of the Evangelical Theological Society, 45 no 4 D 2002, p 673.
Review by Richardson, Neil. Expository Times, 113 no 6 Mr 2002, p 209.
Review by Wilkin, Robert N. Journal of the Grace Evangelical Society 15 no 28 2002 pp. 2-24.
Review by Yinger, Kent. Evangelical Quarterly, 76 no 4 O 2004, p 367-369.
Review by Zuck, Roy B. Bibliotheca Sacra, 160 no 638 Ap-Je 2003, p 241-243. "Christ's Baptism and Crucifixion: The Anointing and Enthronement of God's Son," The Southern Baptist Journal of Theology, 8 (2004), 70-85. “'Evangelical Inclusivism' and the Exclusivity of the Gospel: A Review of John Sanders's No Other Name," The Southern Baptist Journal of Theology, 1:4 (Winter 1997): 24-39. In the Name of the Father, the Son, and the Spirit of Diversity: Multiculturalism Goes to College, Christian Research Journal 30:3 (2007): 24-33. "Persevering in Christ and Tests of Eternal Life," The Southern Baptist Journal of Theology, 10:3 (Fall 2006): 40-56. Qoheleth: Enigmatic Pessimist or Godly Sage? Grace Theological Journal 7 (1986): 21-56. Sacred Imagination and the Gospel: A Review of "The Passion of the Christ"
"The Parable of the Generous Vineyard Owner (Matthew 20:1-16)," The Southern Baptist Journal of Theology, 13:3 (Fall 2009): 34-50. "The SBJT Forum: Racism, Scripture, and History," The Southern Baptist Journal of Theology, 8:2 (Summer 2004): 85-91. 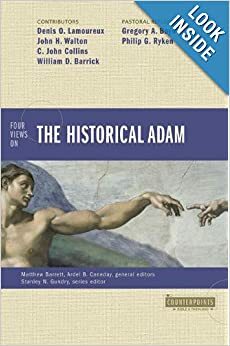 "'They exchanged the glory of God for the likeness of an image': Idolatrous Adam and Israel as Representatives in Paul's Letter to the Romans," The Southern Baptist Journal of Theology, 11:3 (Fall 2007): 34-45. "Veiled Glory: God's Self-Revelation in Human Likeness--A Biblical Theology of God's Anthropomorphic Self-Disclosure," in Beyond the Bounds: Open Theism and the Undermining of Biblical Christianity, eds. John Piper, Justin Taylor, Paul Kjoss Helseth, (Wheaton: Crossway, 2003), 149-199.